When two young women are murdered on the streets of New York, exactly one year apart, Detective Ellie Hatcher is called up for a special assignment on the homicide task force. The killer has left behind a clue connecting the two cases to FirstDate.com, a popular online dating service, and Flann McIlroy, an eccentric, publicity-seeking homicide detective, is convinced that only Ellie can help him pursue his terrifying theory: someone is using the lure of the internet and the promise of love to launch a killing spree against the women of New York City. To catch the killer, Ellie must enter a high-tech world of stolen identities where no one is who they appear to be. And for her, the investigation quickly becomes personal. She fits the profile of the victims, and she knows firsthand what pursuing a sociopath can do to a cop - back home in Wichita, Kansas, her own father lost his life trying to catch a notorious serial murderer. When the FirstDate killer begins to mimic the monster who destroyed her father, Ellie knows the game has become personal for him, too. Both hunter and prey, she knows her only choice is to find the killer before he claims his next victim - who could very well be Ellie herself. This is simply an excellent novel. I care about the characters, dead or living. I want to know what happens after this book ends. I cannot give a story a better recommendation. 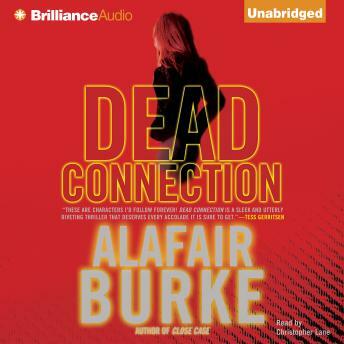 Alafair Burke is the daughter of James Lee Burke, and as such I didn't know if she got her work published because of this relationship. This is clearly not true. She is an excellent author I and look forward to reading everything she publishes. PS I though it was cute that Ellie Hatcher calls Dave Robicheaux.